We use Altman’s Z Score as our measurement tool to assess a company’s financial condition. It incorporates fundamental financial analysis, offers a consistent measurement methodology across all business segments, and an enhanced level of transparency by use of fully disclosed and open calculation model. The Z Score provides a quantitative measurement into a company’s financial health. The Z Score highlights factors contributing to a company’s financial health and uncovers emerging trends that indicate improvements or deterioration in financial condition. The Z Score is a critical tool business managers use to assess financial health. It helps managers align business strategies with capital allocation decisions and provide transparency of financial condition to lenders and equity capital providers. Business managers use the Z Score to raise capital and secure credit. The Z Score is an effective tool to demonstrate credit worthiness to bankers and soundness of business model to investors. The Z Score is based on actual financial information derived from the operating performance of the business enterprise. It avoids biases of subjective assessments, conflicts of interest, brand and large company bias. The Z Score employs no theoretical assumptions or market inputs external to the company’s financial statements. This provides users of the Z Score with a consistent view and understanding of a company’s true financial health. The Z Score was first developed by NYU Professor Edward Altman. The Z Score methodology was developed to provide a more effective financial assessment tool for credit risk analysts and lenders. It is employed by credit professionals to mitigate risk in debt portfolios and by lenders to extend loans. It is widely utilized because it uses multiple variables to measure the financial health and credit worthiness of a borrower. The Z Score is an open system. This allows users of the Z Score to understand the variables employed in the algorithm. All the mysteries and added cost of “proprietary black box” systems are avoided empowering users to enjoy the benefits of a proven credit decision tool based solely on solid financial analysis. 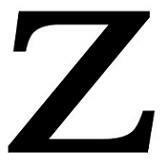 The Z Score is also an effective tool to analyze the financial health and credit worthiness of private companies. It has gained wide acceptance from auditors, management accountants, courts, and database systems used for loan evaluation. The formula’s approach has been used in a variety of contexts and countries. Forty years of public scrutiny speaks highly of its validity. The Z Score method examines liquidity, profitability, reinvested earnings and leverage which are integrated into a single composite score. It can be used with past, current or projected data as it requires no external inputs such as GDP or Market Price. The Z Score uses a series of data points from a company’s balance sheet. It uses the data points to create and score ratios. These ratios are weighted and aggregated to compile a Z Score. If you divide 1 by X4 then add 1 the result is the company’s total leverage. The higher the score the more financially sound the company. Lenders and credit analysts use Z Scores because they are effective indicators and predictors of loan defaults. it is an important risk mitigation tool and helps them to better price credit products based on borrowers credit worthiness. Utilizing a 10 year corporate mortality table demonstrates how Z Score ratings correlate to defaults. Those with a rating of A or better have a 10 year failure rate that ranges from .03% to .082%. The failure rate for those with a BBB rating jumps to 9.63%. BB, B and CCC failure rates are 19.69%, 37.26% and 58.63% respectively. These tables will differ slightly as each producer uses different criteria but overall they are quite similar. Borrowers with higher Z Scores ratings will have a better chance of obtaining financing and secure a lower cost of capital and preferred interest rates because lenders will have greater confidence in being paid back their principal and interest. Financial wellness is an indication of strong company management and that effective governance controls are in place. The Z Score is also a critical business tool managers utilize to make informed business decisions to improve the financial health of the business. The Z Score helps managers assess the factors contributing to poor financial health. Z Score factors that contribute to under-performance; working capital, earnings retention, profitability and leverage can be isolated. This enables managers to initiate actions to improve the score of these factors contributing to financial distress. Targeting actions to specific under-performing stress factors allows managers to make capital allocation decisions that mitigate principal risk factors and produce optimal returns. Focus areas for managers to improve Z Score are transactions that effect earnings/(losses), capital expenditures, equity and debt transactions. Earnings (Net Earnings) increases working capital and equity. Adjust EBIT by adding back interest expense. Adjust EBIT by adding back income tax expense. Depreciation and amortization expense is already included in the earnings number so it won’t have an additional effect on earnings or equity but it will increase working capital as noncash items previously deducted. Capital Expenditures (fixed asset purchases) decrease working capital as cash is used to pay for them (whether the source is existing cash or new cash acquired from debt). Short term debt transactions have no effect on working capital as there are offsetting changes in both current assets and liabilities but does change total liabilities and total assets. Acquiring new long term debt increases working capital, total liabilities and total assets. Typical equity transactions (other than earnings, which we have already accounted for) are dividends paid to stockholders resulting in decreases to working capital and equity. New contributed capital increases working capital and equity. Using the Z Score financial managers can actively manage their balance sheet by considering transactions and initiatives designed to impact financial wellness. Considerable attention needs to be placed on how losses, sale of fixed assets and long term debt payments effect financial condition. In the above we included the basic transactions that would likely occur but you can do the same for any scenario by applying the same concept. It may take a little practice to think in these groupings but you’ll shortly find yourself with the ability to project any event. The effects can be measured and revised as necessary by adjusting the contemplated transactions. Remember that several variables exist and that a combination of choices might be necessary to keep your financial strength at the desired level. Any projection should include the calculation and comparison of key metrics to historical results to ensure that assumptions have been correctly calculated. Significant deviations from prior results should have adequate explanations. Maintaining a strong working capital position can offset the negative effects from increased debt, increased assets and minor earning declines. Sum2 boasts a worldwide clientele of small and mid-sized business managers, bankers, CPA’s and risk management consultants that utilize the Profit|Optimizer to help their clients raise capital with effective risk governance. Financial models are not infallible and should be used in conjunction with common sense and with an awareness of market conditions. It is important to understand your model so that other considerations can be incorporated when necessary. Note that most models (Z score included) use a proxy (working capital) for liquidity which works well until there are severe disruptions in credit markets as recently encountered. Use caution with all models. Use extreme caution when using a proprietary black box system where you can’t understand all the components. Are these users aware or ignorant of possible issues? Trust but verify seems like a prudent policy. The Z Score is a valuable management tool to proactively assess the financial condition of the company’s balance sheet, uncover factors that are stressing the balance sheet and initiate actions to improve the financial wellness and credit worthiness of the firm. All business decisions and actions are ultimately revealed in the company’s balance sheet. The Z Score measures the effectiveness of business decisions. It empowers managers to anticipate changes occurring in credit worthiness and proactively manage changes in financial condition. Armed with a tool to calculate future financial positions managers have the latitude to better manage outstanding receivables, improve liquidity and lower their cost of capital. Calls for capital, negotiations for funding or decisions in setting credit policy can now be made from a knowledgeable position with a set of supporting facts. The Z Score gives business managers an important negotiating tool to defend their credit rating during capital raises when excess leverage or deficient levels of working capital and equity are present. This post was authored by CreditAides.